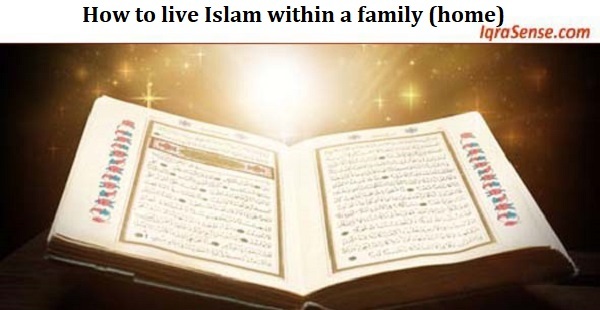 How to live Islam within a family (home)? Strong family ties built on the teachings of Quran and Sunnah provide the necessary foundation for a happy and joyous household and in turn contribute to the overall health of a society. On the other hand, members of troubled families struggle to maintain calm within and watch helplessly as day to day troubles tarnish and strain their relationships, and as a result grapple with daily stress in their lives. In extreme cases, this might result in corrupting the very foundations of societies at large. As family members, therefore, everyone has the obligation to take the necessary measures to strengthen these foundations. Islamic teachings based on the foundation of the Quran and the teachings of the prophet (s) provide us with those guidelines. To benefit from those guidelines, we ought to “live” Islam within our families. 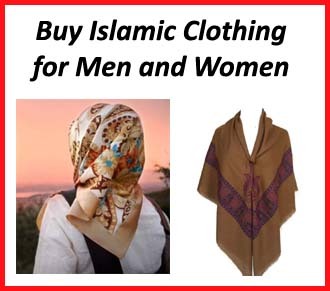 Rather, Islamic character is formed through a number of factors that include parental efforts, personal struggle, prayers, supplications and following the commands of Allah. We know that the walls of a home have little to do with the building of healthy dynamics within family members. That usually comes from living our lives according to the principles of Islam. So, how do we live Islam within our families and nurture a good home? 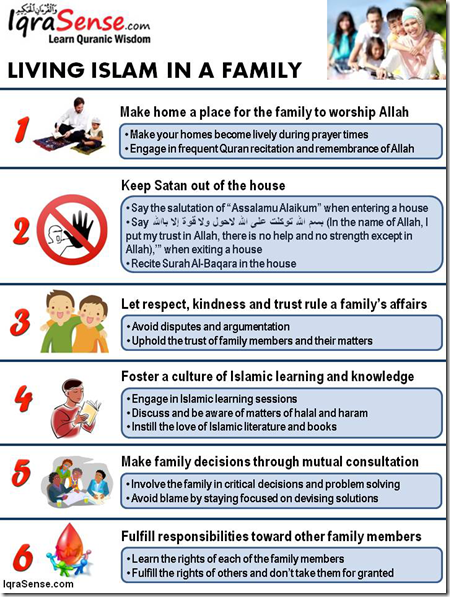 This post reviews six principles that families can use to live Islam within their families. This in turn can help in building the foundations of a joyous family. Let us start with the basics. Allah clearly tells that He created us to worship Him. 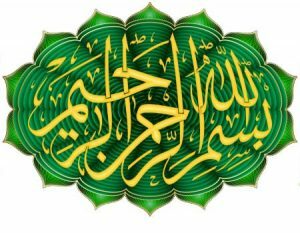 That involves following Allah’s commands in our daily lives as well as remembering Him through various Ibadat such as prayers, Quran recitation and so on. Within a family, we need to ensure following all that is needed to fulfill our minimum responsibilities of worshiping Him along with helping others to perform theirs. For example, Aishah (may Allah be pleased with her) reported that the Messenger of Allah (S) used to pray qiyaam at night, and at the time of witr he would wake her up to pray witr. (Reported by Muslim, Sharh al-Nawawi, 6/23). The importance of family members frequently engaging in Allah’s worship at home is evident through other ahadith as well as the Quran. Allah says in the Quran (interpretation of the meaning): “And We inspired Moosa and his brother (saying): ‘Take dwellings for your people in Egypt, and make your dwellings as places for your worship, and perform al-salaah, and give glad tidings to the believers.’” [Surah Yoonus:87]. In a hadith, the Messenger of Allah (S) said: “Do not turn your houses into graves …” (Reported by Muslim, 1/539). One of the signs of a home that is filled with Allah’s remembrance is for it to become lively at Tahajjud, Fajar, and other prayers. This habit alone can bring tremendous peace to one’s household. The importance of this habit is obvious from a hadith where the Prophet (S) said: “The likeness of a house in which Allah is remembered and the house in which Allah is not remembered is that of the living and the dead, respectively.” With regard to men, the Prophet (S) said: “The best prayer is a man’s prayer in his house – apart from the prescribed prayers (which should be in a masjid).” (Reported by al-Bukhaari, al-Fath, no. 731). With regard to women, the prophet (S) said: “The best prayer for women is [that offered] in the furthest (innermost) part of their houses.” (Reported by al-Tabaraani. 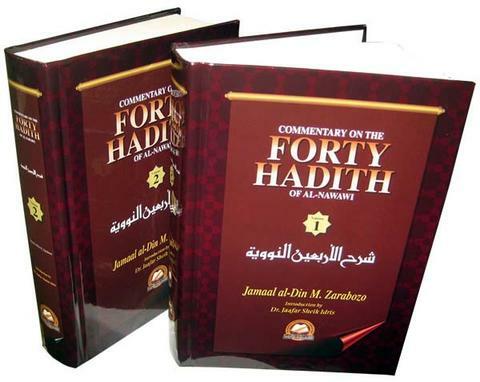 Saheeh al-Jaami’, 3311). A home filled with the remembrance of Allah, the Lord of the Worlds, will no doubt find an aura of peace and tranquility in its midst that it may not otherwise find possible. Allah has told us in the Quran that Satan is our enemy and we should do everything to keep Satan out of our lives. Satan hurts us by misguiding us toward evil deeds, making the bad look acceptable, bringing misfortune in our lives and families, and so on. The more we succeed in keeping Satan’s tactics and curses away from our lives and our homes, the fewer will be the fights, arguments, misunderstandings, etc., and the more will we enjoy Allah’s peace and blessings. Both Allah and the prophet (s) have told us how to ward off Satan’s whispers and other evil tactics. For example, when entering a house, we should ensure that everyone welcomes the others at home by saying the Islamic greeting of “Assalamualaikum”. Muslim reported in his Saheeh that the Messenger of Allah (S) said: “When any one of you enters his home and mentions the Name of Allah when he enters and when he eats, the Shaytaan says (about himself): ‘You have no place to stay and nothing to eat here.’ If he enters and does not mention the name of Allah when he enters, [the Shaytaan] says (to himself), ‘You have a place to stay.’ If he does not mention the name of Allah when he eats, [the Shaytaan says], ‘You have a place to stay and something to eat.’” (Reported by Imaam Ahmad, al-Musnad, 3/346; Muslim, 3/1599). Another tactic to keep Satan away from the house is for family members to recite Surah Al-Baqarah regularly. As this surah is long, family members can alternate in the recitation of the Surah. The Messenger of Allah (S) said: “Do not make your houses into graves. The Shaytaan flees from a house in which Soorat al-Baqarah is recited.” (Reported by Muslim, 1/539). He (S) also said: “Allah wrote a document two thousand years before He created the heavens and the earth, which is kept near the Throne, and He revealed two aayaat of it with which He concluded Surat al-Baqarah. If they are recited in a house for three consecutive nights, the Shaytaan will not approach it.” (Reported by Imaam Ahmad in al-Musnad, 4/274, and others. Saheeh al-Jaami’, 1799). Aa’ishah (may Allah be pleased with her) said: “The Messenger of Allah (S) said: ‘When Allah – may He be glorified – wills some good towards the people of a household, He introduces kindness among them.’” (Reported by Imaam Ahmad in al-Musnad, 6/71; Saheeh al-Jaami’, 303). Each individual has a unique identity and individuality that deserves to be respected. Giving time to listen to each other and helping solve problems in the light of Islam will make a household more conducive for productive problem solving. 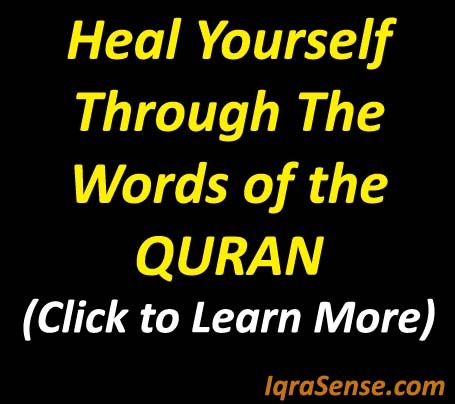 On the contrary, a home filled with frequent argumentation, disputes, and quarrels will only foster bad feelings and is something that stands counter to the teachings of the Quran and the Sunnah. 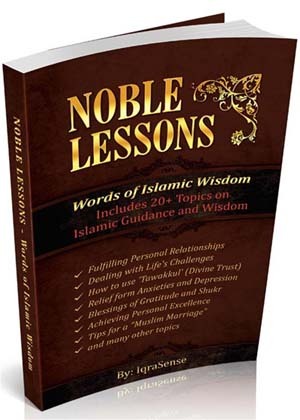 Discussing Islamic wisdom regularly can help us to stay informed and involved in ongoing self assessment. Most of us are usually preoccupied with issues related to our responsibilities, work, relationships and disappointments in life. While discussing these matters with our family members, we can relate them to how the prophet (S) and his companions resolved such matters. We should find opportunities to discuss such issues when everyone comes together as for instance during meal times. Family members should also use the learning opportunities at home to learn and advise each other on matters of halal and haram. 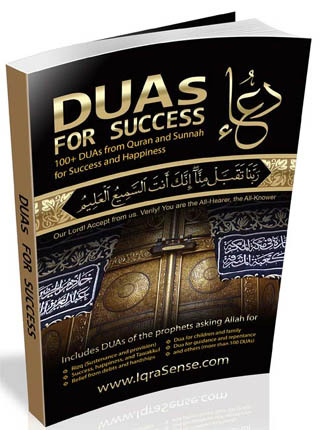 This can help us ward off Satanic whispers related to making haram appear as acceptable. Let’s remind ourselves that once we cross those lines and start characterizing the bad as acceptable, Satan further raises those limits and does not stop until he completely pushes us into the darkness of evil and shirk (polytheism). Another way to foster a learning environment at home is for each family to instill the love of Islamic literature and books. 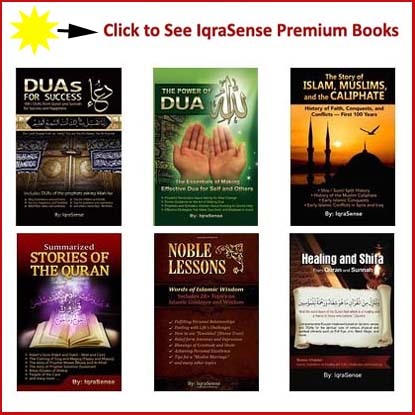 So, beyond keeping a Quran and a book on hadith, the family should look to maintain literature on Quran interpretation and books of renowned Islamic scholars that can help family members get a deeper insight into the wisdom of the Quran and the Sunnah. “… and who (conduct) their affairs by mutual consultation…” [Surah al-Shoora:38]. And your Lord has decreed that you worship none but Him. And that you be dutiful to your parents. If one of them or both of them attain old age in your life, say not to them a word of disrespect, nor reprimand them but address them in terms of honor. As we can see, the Quran is clear with regard to our duties to our parents. By fulfilling our responsibilities towards them we can also serve as a good example to our children in the practice of patience and kindness. Similarly, we should learn our responsibilities in dealing with our children. When parents recognize the child as an individual, address him and include him / her in discussions on general topics, a proper rapport is formed and the child finds it easier to obey them. Reminders could be given and situations that parents themselves were in could be discussed to help each other get and stay on the track of Islam. When parents make the mistake of considering themselves perfect (and their imperfections are quite obvious!) they lose their own credibility and the respect of their children as well. This applies to other family members as well. Knowing the rights of other individual within the family can help us fulfill our responsibilities as prescribed to us by Islam and can help us live Islam within our families. 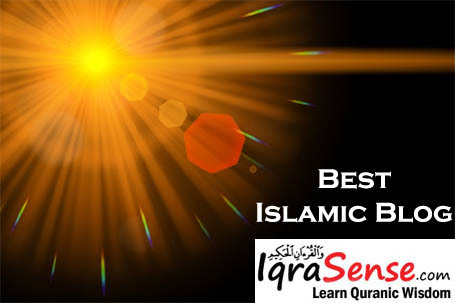 The Quran and Sunnah provide us ample guidelines on various aspects of living Islam within a family and one article is not enough to cover the above topics in detail. 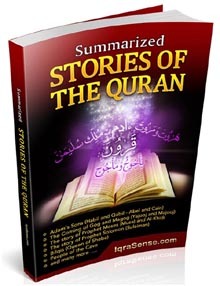 Examples include verses of Surah Al Muminun (23: 1-11), Surah Luqmaan (31:13-19) and others. When the elders and responsible parties of a household highlight the importance to live Islam within a family, and practice these virtues and manners, this inspires the children to learn as well. Finally, let’s remind ourselves that to simply becoming knowledgeable about these issues doesn’t help unless we live by these practices. 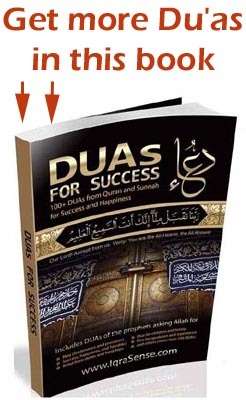 One of the Islamic scholars stated that if faith (eemaan) was simply knowing the facts in one’s heart, then that is similar to Satan’s situation because he was very knowledgeable about his Lord (Allah), yet his arrogance and pride led him to become argumentative and disobedient to Allah, and in the process became the worst of creatures. See and share the below infographic with others too. I find it very sad that the role and the importance of the wife is not even mentioned. Unfortunately if you honestly think how many families in your own family and friends live in a peaceful way, the answer would be very few. From what I have read the the number one reason for divorce in our communities is in-law interference along with domestic violence and molestation. These issues truely need to be addressed. May we all be guided on the right path. Thank you for the article. This is simply excellent! As a summary of the meaning and value of life, this topic should be taught to in all schools and reminded on the occasion of any gathering of people. What an excellent topic. Something a lot of muslims need to know about these days..
Assalaamu Alaikum.A very timely reminder to all;especially those in authority,parents,teachers,heads of religious organisations…Yes,knowlledge is important but if not practised is all useless.Thanks for refreshing our eemaan.Wassalaam. The theme is extremely important for family constitutes the backbone of the umma and society at large. Family values and practices need to be duly rooted in Islam, withou which we may go astray. Keep it up. Assalaamu Alaikum. Excellent Masha Allah. Let us all benefit the best from our Religion by implementing. This article is extremely useful, the theme is dealt with precision and care. 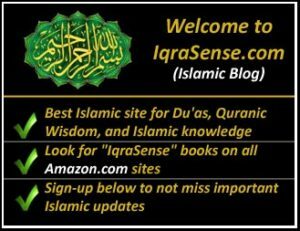 Very informative site and this particular post talked comprehensively about a living a lovely Islamic life. Jazak Allah khair.MashaAllah. Looking forward for the day when the world day will benefit from islam inshaAllah. mashallah,excellent article.it’s need of the hour. Alhamdulillah. 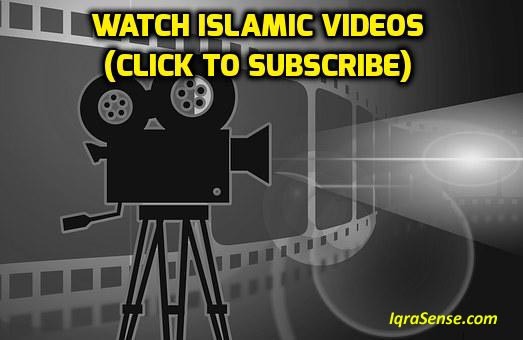 To follow Islam correctly we need to focus on its practical aspects in our daily life. A start has to be made with relationships within the family, for that’s where our worldly life begins. Once that’s taken care of we can hope to see a reform in society. JazkAllah Khair for your attempts in showing the realistic manner in which Islam can be practiced. Very good article, and very wise. The world is full of mad people, one needs to protect the peace in his own house/household first. In the blink of an eye an entire family can get into problems due to others if one is not careful in thix world. Mashaallah. 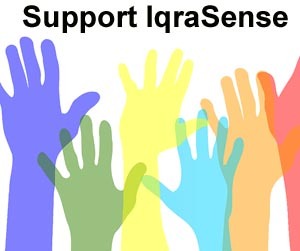 well done iqrasense. Good life is not more than this. Islam is the solution to every problem. Alhamdulillah! i have been practicing bits of this article at home before i read it on iqrsense. now that i a reason to continue, i will make sure i implement the recommendations here to the latter. thank you so much. May Allah give you the strength to continue doing more. JazkAllah Khair for your attempts in showing the realistic manner in which Islam can be practiced.